It is essential to try and avoid the 404 errors, mainly if these occur as a result of incompetent site-building. To a typical stakeholder, it can be a clear sign of a bad website design and may also give, and adverse signal to Google. As a website owner, you also need to ensure that your users never land on meaningless errors messages like ‘404 Page not found’. If you have a Joomla site, you need first to check and find that the page on this CMS for 404 error is too substandard. It will be completely different from the other pages you have designed. On getting it displayed in between, people may surely think that your site is entirely broken and just leave. If the 404 error occurs frequently, then it can have a very negative impact on the site’s SEO ranking too. As it cannot be entirely avoided, the best alternative is to custom create a 404-page with the template. The users may tend to follow your directions if they find the error-page more sensible and customer oriented. You can even provide links to the home page or search page from the error page. As incompetent 404 errors can increase the bounce rate from your web pages, it can adversely impact the search engine valuation. More importantly, as you loyal customers will find encountering 404 errors when they land on specific pages which they were searching for more information a frustrating experience, you lose your brand image through it. The first thing you should try to achieve is to prevent the users from encountering this error. For this, you need to try avoiding renaming the menu items and avoid renaming the articles. Doing so will cause this error if they are getting directed to the landing page through search engines. Another thing to ensure is that you do not have any internal links created for any new or existing pages. These are the standard type of errors webmasters make to mistake. If you have the real need to rename a particular URL, then ensure to use a custom 301-redirect which can point the old URL to the new one. You also need to understand that all the 404 errors are not bad. If you had a product or a post on your site which is no more relevant, removing that will be an idea which may lead to a page not found type error. But, as it is for a valid reason, it is justifiable, and over time, Google tends to remove it from indexing naturally. Google also made it clear that doing so genuinely will not adversely affect your webs page SEO. You should first create a text which needed to be displayed to the user when they encounter this error. You can add links to the home page or search page from this excellent text. Next, you have to enter the article ID, which is the last column if you are accessing the overview of the Article Manager overview. Say, for example, 999. Set the robots for the article to NOINDEX and NOFOLLOW to avoid Google indexing of the page. Add the specific article to the hidden menu. You can then create an empty file to be named as ‘error.php’ at the root folder of your template. Completing up to this step, you can next use the below code snippet to create an error page. If you assign the 404-article as to a menu item as Page not Found, the line of the header can be changed to. There is one major drawback for this method as the browser will still receive the 200 header response code. It further makes it too difficult for the search engines evaluate the scenario and determine that this page is not existing now. It results in the trouble called soft-404’s. The alternate option for this is the use of an enhanced code with another more correct HTTP-response, which is again by replacing the line start with the header with. 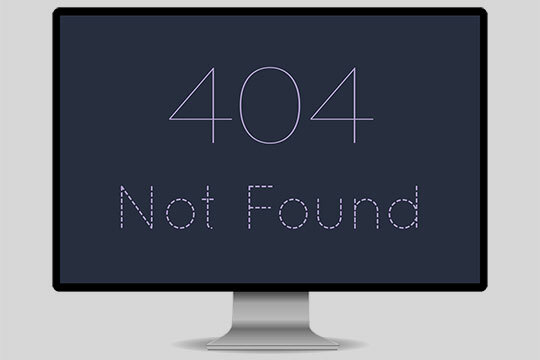 It further sends a 404 HTTP header to the browser and stays on the same URL to retrieve the content of 404 page, which instead of soft-404, ends up in hard-404’s as an ideal way out. On a final note, you can find many third-party Joomla templates offer their own ways to custom create 404 pages, which sometimes are much easier than the solution which we discussed. This article is written by Derek Iwasiuk. He is a Joomla developer and SEO specialist who used to share blueprint SEO strategy and advanced technology tips for SEO-friendly site development on Joomla. You can also find him on Twitter and Google+.